I am so Filipino, I like rice. 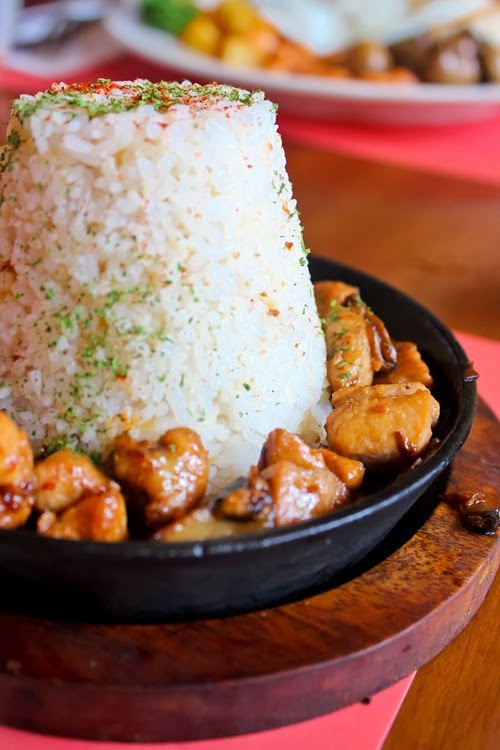 When I was writing about my meal at Eat Café, it dawned on me – you’ve written about restaurants with garlic rice A L OT. I like garlic rice, sometimes I can eat just that. Plain rice topped with crispy garlic IS NOT garlic rice, it’s a disappointment. 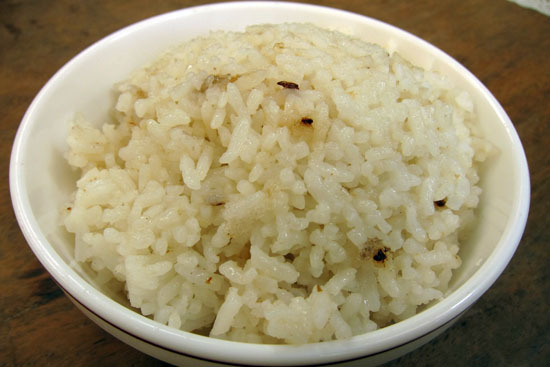 I’m talking about real garlic rice wherein every grain tastes like garlic. I’ve raved about this gourmet carinderia over and over again. 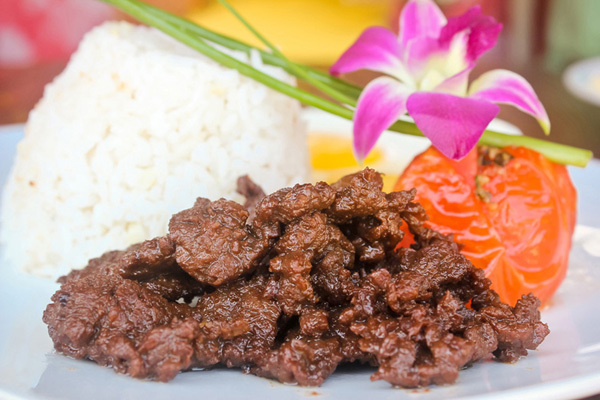 For P90 you have lip smacking Tapa and garlic rice. However there were times I dined here and the garlic rice was unavailable. 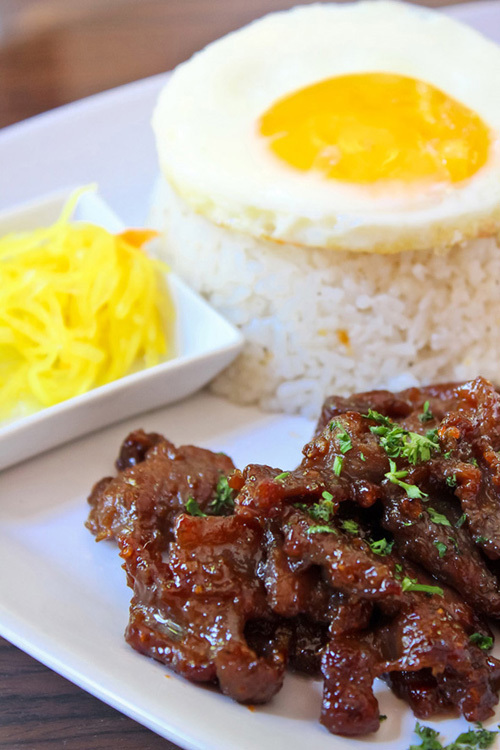 Paired with salpicao this classic plate may set you back a lot but the whole dish is a definite winner. This destination restaurant in Taytay offers good food with amazing design. 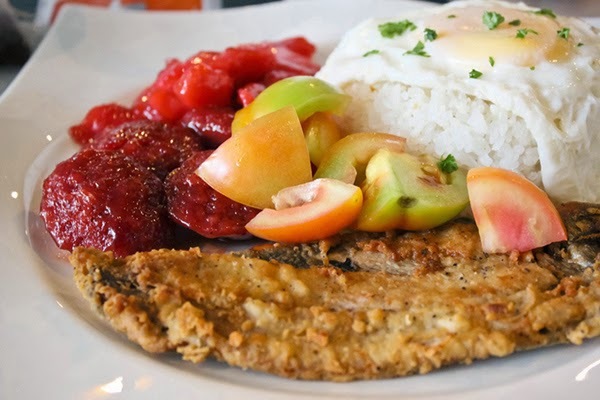 Another tapa and garlic rice combination that is worth the trip. I tried this café for an event, I hope even during normal days the food is as delicious. Portions are on the generous side so you may want to split it with someone if you have a small appetite. You’ll have to go all the way to Laguna to try this cup. At P35 it is affordable with a capital A. Have your garlic rice with Patis Tito’s Inasal Diablo or Pan Fried Bangus Belly for the win. What’s your favorite cup of garlic rice?